At about 1,300 in number, Walmart supplier companies have a strong presence in Northwest Arkansas. They are here to make sure the retailer has what it needs, but their involvement in the community doesn’t end there. The supplier community is also dedicated to making a difference beyond the bottom line. Companies like General Mills, Kraft Heinz, Bayer, Johnson & Johnson, PepsiCo, Unilever, The Hershey Co., Coca-Cola, Spectrum Brands and Reynolds Consumer Products also invest their resources in local charities. 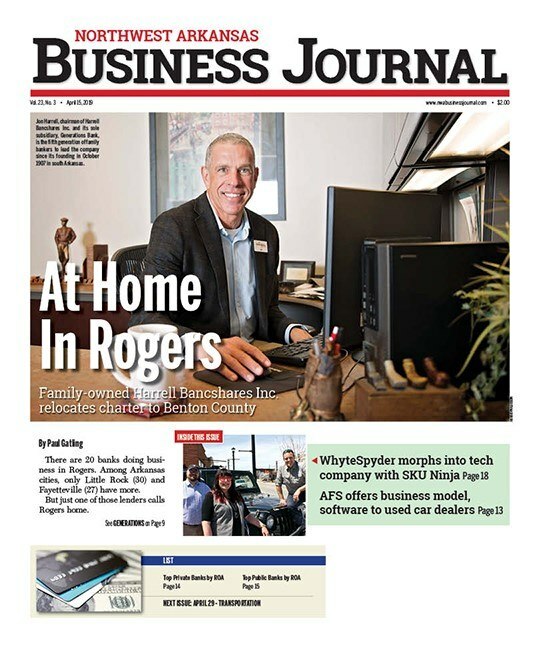 With more than 2,500 nonprofits located in Northwest Arkansas, choices for philanthropy range from the American Heart Association, Northwest Arkansas Children’s Shelter, Jones Center, Boys & Girls Clubs, Mercy Hospital, Cystic Fibrosis Foundation, Saving Grace Transitional Home, the Children’s Advocacy Center and others. The Northwest Arkansas Food Bank especially benefits from the presence of area suppliers. In 2017 the food bank served 71,230 people through more than 150 partner agencies in Benton, Washington, Madison and Carroll counties. Williams said the most common way supplier companies help the food bank is through volunteering. “Almost every day of the week we have a group out here, helping us sort food, helping us put food away, helping us build meal boxes to distribute to hungry families. All of that work is done by volunteers, and many of those volunteers are groups from the supplier community,” he said. Suppliers also support the food bank through cash donations, sponsorships and corporate gifts, as well as through food donations. Kraft Heinz donated over 100,000 pounds of macaroni and cheese and Stove Top Stuffing last year, and Tyson Foods donated 1 million pounds of protein over the past year. The food bank doesn’t track how much suppliers give as a group, but Williams said the supplier community provides a significant part of its support. Spectrum Brand’s Walmart team is one local supplier that feels a responsibility to help those who are in need, especially those who are food insecure. Daniel Boone, Spectrum Brand’s vice president and general manager for Walmart and Sam’s Club, said the reality of the situation came home to him after visiting with Kent Eikenberry, president and CEO of the food bank. In light of that, Boone and his staff came up with a unique way to support the food bank. Three years ago they created the Spectrum Challenge, a food drive competition among the supplier community. Participating companies compete during a 30-day time period, from Nov. 1-30, to see which can collect the highest average pounds of food per person in their group. The winner receives the Spectrum Cup. Companies benefit from the satisfaction of taking action to meet a need in the community and from the team-building element of working together for a common cause. That competition even extends to team members’ families who get involved and engage their neighborhoods and even their children’s school classes, Boone said. In 2016, the first year of the competition, nine companies participated and raised 17,000 pounds of food. Last year, the challenge grew to 17 companies, including Spectrum Brands, raising a total of 133,885 pounds. Participants in this past year’s challenge included Cargill, Castrol Oil, Englander, Signature Bank of Arkansas, Johnson Controls, Smuckers, General Mills, Kraft Heinz, Shell Lubricants, Newell Brands, PepsiCo, Simmons Bank, Unilever, ITW, Johnson & Johnson and Mondelez International. Johnson Controls won both years of the challenge. In 2017, the company collected 759 pounds per each of its five employees. Spectrum Brands raised a total of 32,000 pounds of food, or 581 pounds per person. General Mills raised the most pounds at a little more than 41,000. Boone was pleased with the response from the supplier community to the Spectrum Challenge. The Spectrum Brands team hopes to grow to 30 companies participating and to raise 250,000 pounds of food this year. Companies can sign up by calling Spectrum Brands or the food bank.